My first Biscoff recipe came off without a hitch, and is a complete hit! 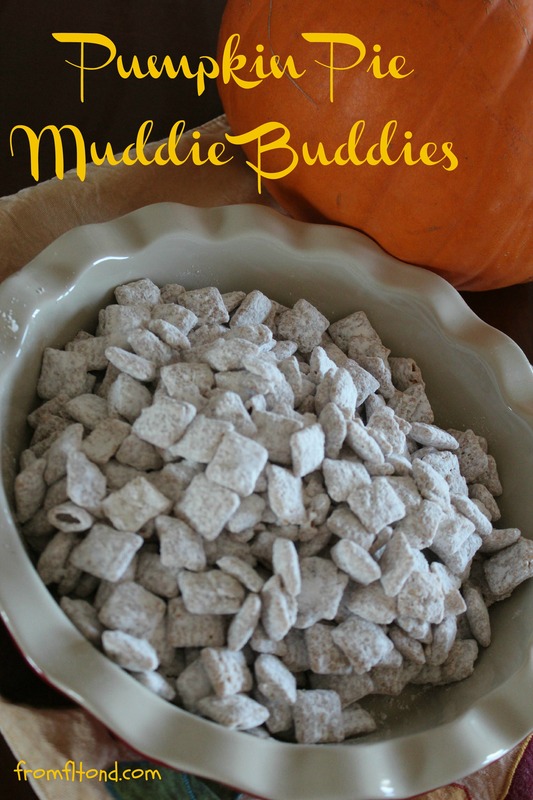 I almost hate myself for making these muddie buddies, because they are so good and addicting! I have to apologize for not having a picture of all the melted ingredients mixed together. I was too busy thinking about how I was going to get to lick the bowl and forgot! These are a perfect addition to any party, or if you just want something sweet to snack on! Make them today! You will not regret it. Put cereal in a large bowl. In a microwave safe bowl combine white chocolate, Biscoff, and butter. Microwave for 1 minute or until melted. Remove from microwave and stir together. Then, stir in pumpkin spice. Add the mixture to the cereal. Stir till mixture coats the cereal. Add the powdered sugar to a large bag. 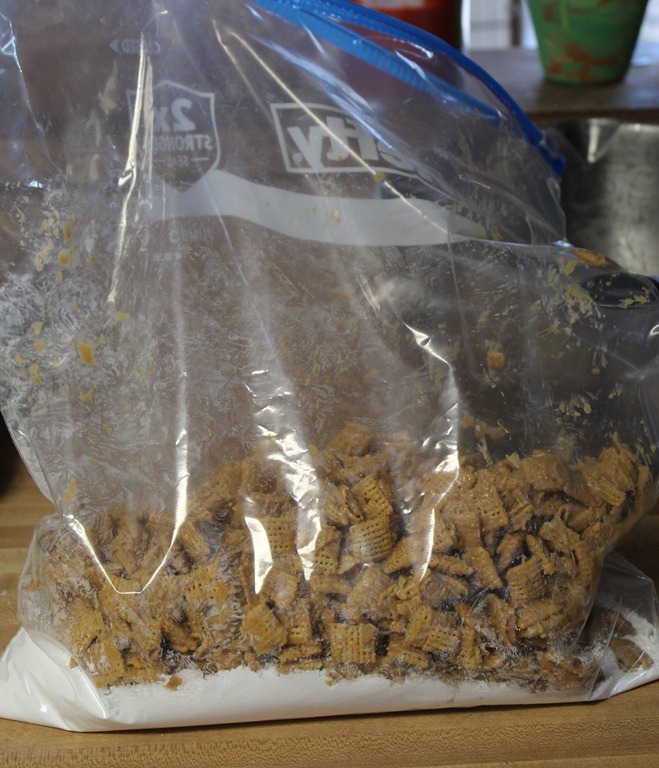 Place the cereal mixture in the bag. Seal the bag and shake it until all the individual cereal pieces are coated with the sugar. Spread the muddie buddies out on wax paper to cool. Once cooled place in an air tight container or bag. Try not to eat it all in one day! Put cereal in a large bowl. In a microwave safe bowl combine white chocolate, Biscoff, and butter. Microwave for 1 minute or until melted. Remove from microwave and stir together. Then, stir in pumpkin spice. Add the mixture to the cereal. Stir till mixture coats the cereal. 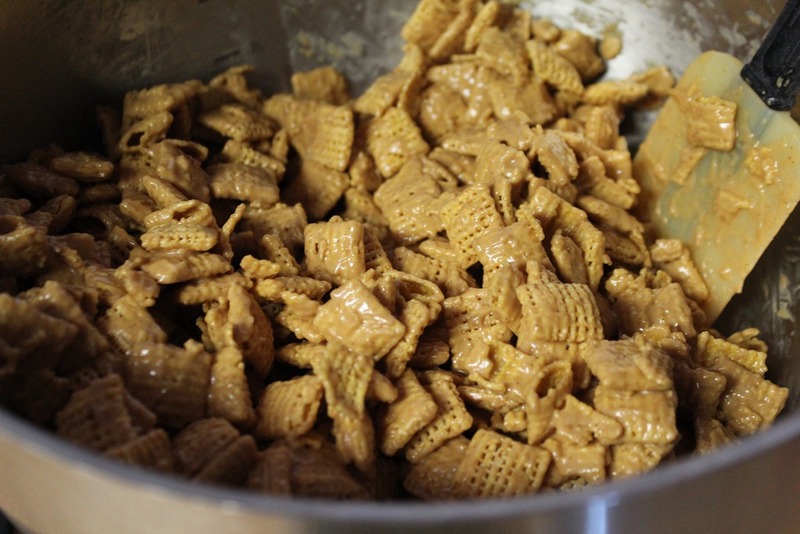 Place the cereal mixture in the bag. Seal the bag and shake it until all the individual cereal pieces are coated with the sugar. Spread the muddie buddies out on wax paper to cool. Once cooled place in an air tight container or bag. Try not to eat it all in one day! 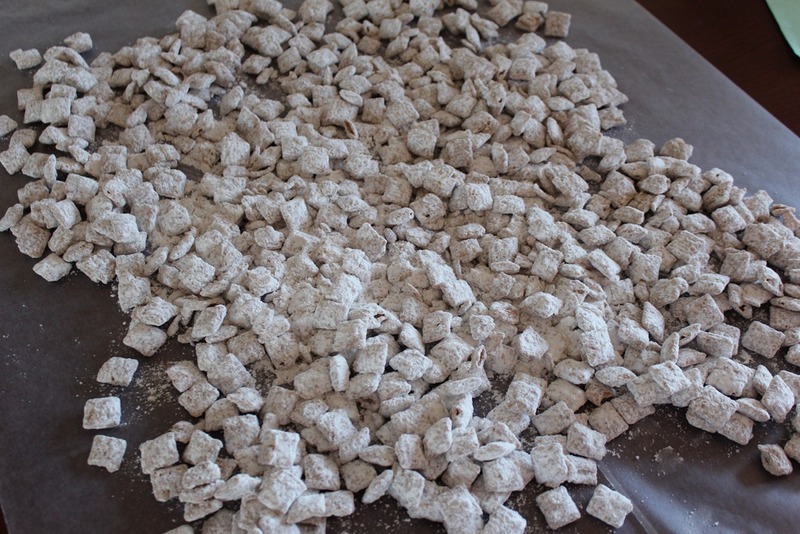 This entry was posted in Recipes, Sweet Heaven and tagged biscoff recipe, pumpkin pie muddie buddies, pumpkin pie puppy chow, pumpkin puppy chow, pumpkin spice muddie buddies, pumpkin spice puppy chow on October 20, 2012 by fromfltond.